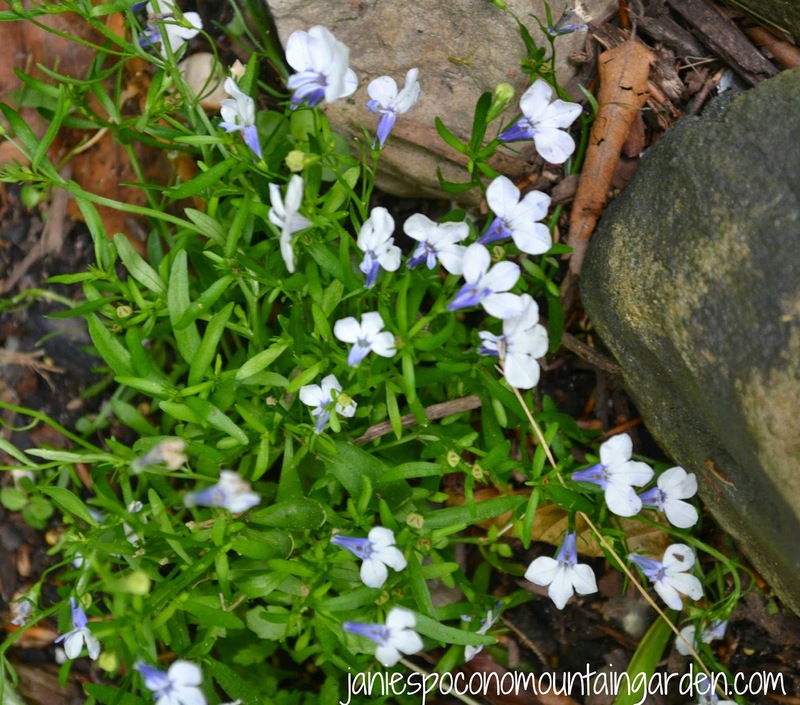 Janie's Pocono Mountain Garden: Blue flowers? You betcha! When most people think about flowers ... reds, pinks, yellows, oranges, and whites are the colors that usually come to mind. Yet, blues, are lovely accents to any garden large or small. Let me show you some of the blue flowers I've had growing in my garden. 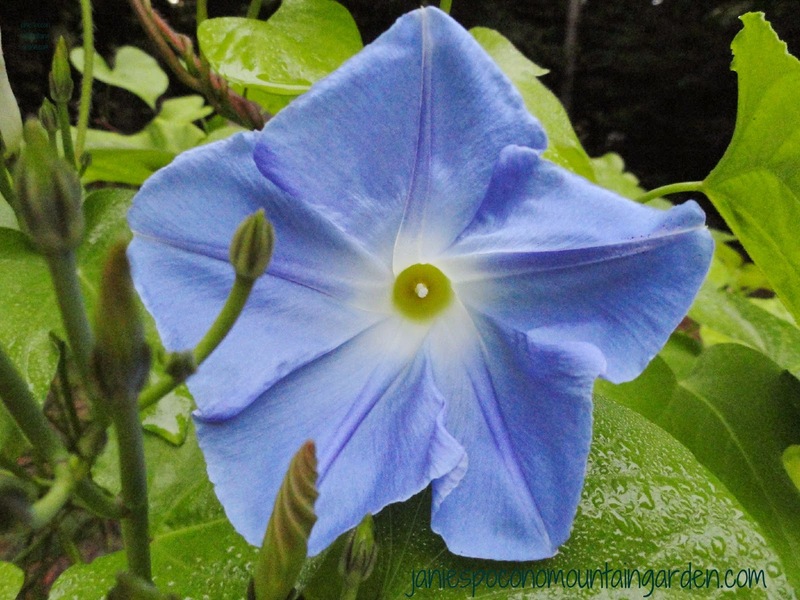 Heavenly Blue Morning Glory will definitely brighten up your morning.They are easy to grow, but each flower lasts only a day. 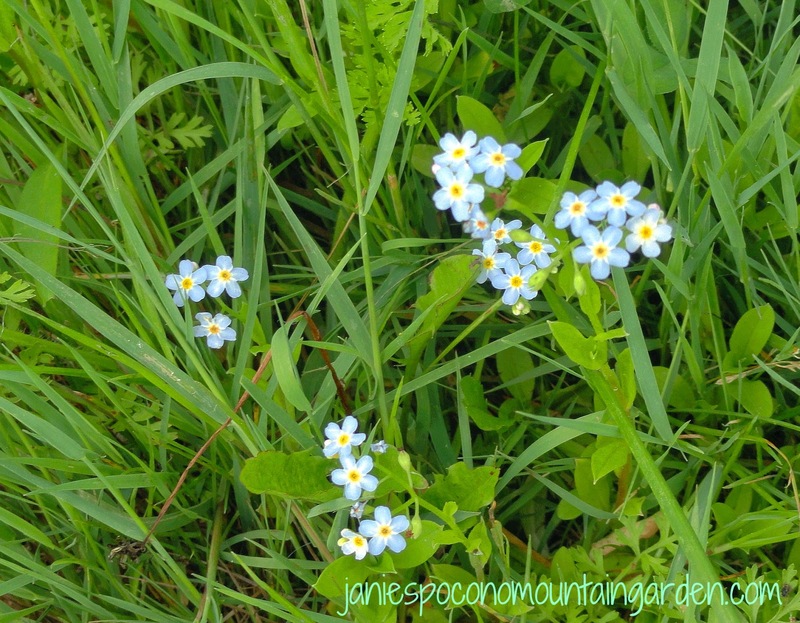 Forget Me Nots, with their dainty little flower heads, will sparkle in your garden. 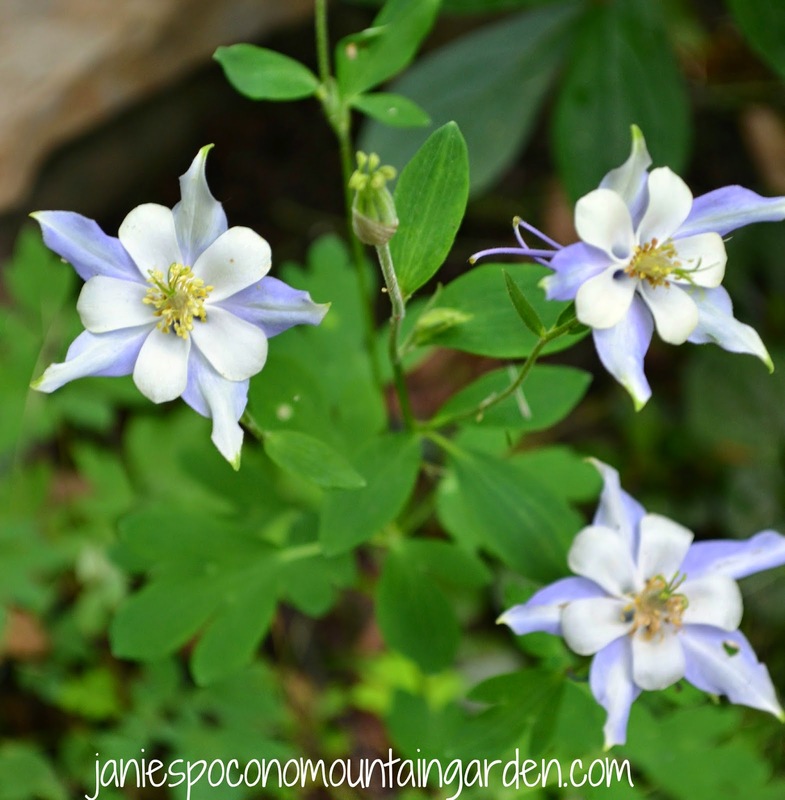 Blue Columbine will bloom in your garden year after year if you let them self seed. 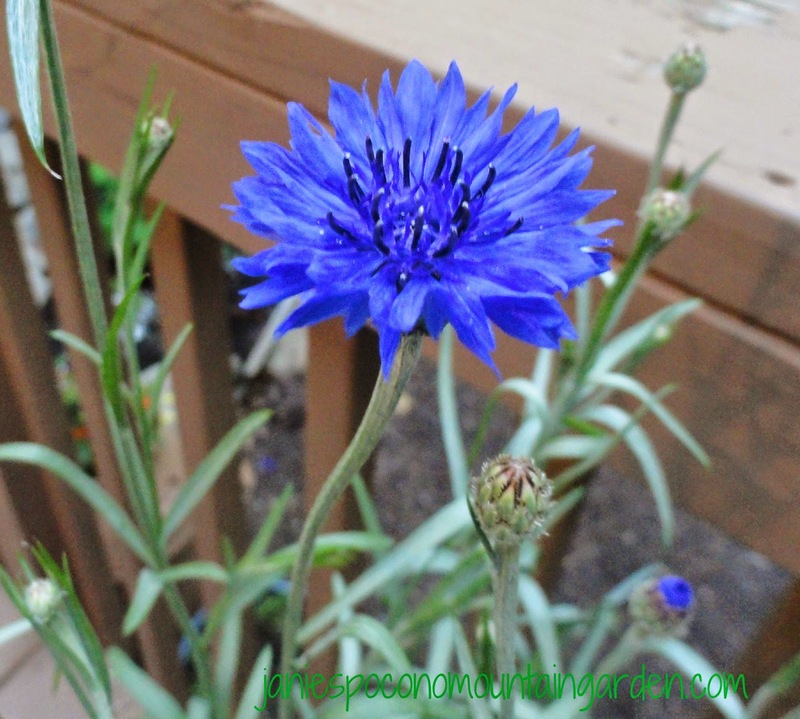 Bachelor Buttons are carefree summer bloomers. Just pinch off fading flowers to keep them flowering. Ground cover or spreading Lobelia looks beautiful in hanging baskets or when used as an edging in rock gardens. 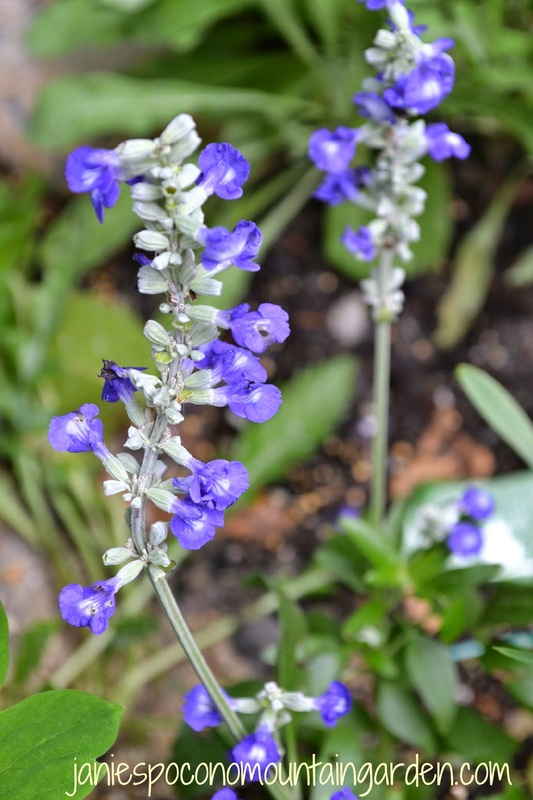 Tall annual Blue Salvia is absolutely striking in a flowerbed. One of my favorites. Blue flowers can soften a sunny afternoon.